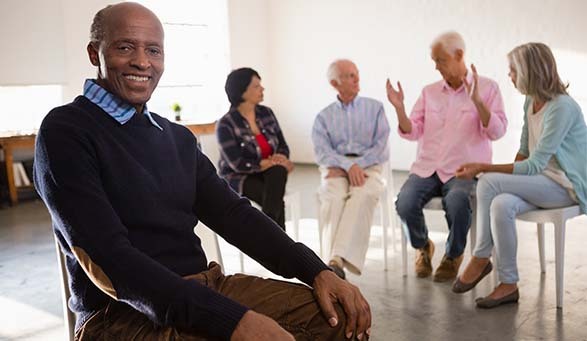 The Alzheimer’s Disease Caregiver Support Initiative (ADCSI) is a 5-year grant initiative funded through New York State Department of Health and designed to support caregivers and people with dementia in the community using evidence-based strategies. The ADCSI takes a two-pronged, systems approach to the investment—both focusing on community support while also equipping the medical system to provide early diagnoses, quality care management, and linkages to community services. This webcast will profile the New York State’s Alzheimer’s Disease Caregiver Support Initiative, including information on how to access services or refer to service providers in any area of the state. The speakers will share details on emerging findings from a multi-level evaluation being carried out by the University at Albany School of Public Health in collaboration with the New York State Department of Health. The webcast will include discussion of what the evaluation findings mean for New York State and the future of Alzheimer’s disease programs and policy. Target Audience: Physicians, physician assistants, nurses, nurse practitioners, local health department staff, community health workers, pharmacists, social workers and others that work with families providing care for people with Alzheimer’s disease. Each participant interested in CE credits must complete an evaluation and post-test, which is available above under "Evaluation, Post-test & Credits". A score of 80% and above on the post-test will generate a certificate indicating the requested credits. The planners, moderator, and presenters have disclosed no financial arrangements or affiliations with any commercial entities whose products, research or services may be discussed in this activity. No commercial funding has been accepted for this activity. The School of Public Health, University at Albany is accredited by the Medical Society of the State of New York (MSSNY) to provide continuing medical education for physicians. The School of Public Health, University at Albany designates this enduring material for a maximum of 1.0 AMA PRA Category 1 CreditsTM. Physicians should claim only the credit commensurate with the extent of their participation in the activity. Continuing Medical Education Credits are offered until February 28, 2022. The University at Albany School of Public Health is an Approved Provider of continuing nurse education by the Northeast Multi-State Division, an accredited approver by the American Nurses Credentialing Center’s Commission on Accreditation. This offering is approved for 1 nursing contact hour(s). Nursing Contact Hours are offered until February 28, 2022. Sponsored by the School of Public Health, University and Albany, SUNY, a designated provider of continuing education contact hours (CECH) in health education by the National Commission for Health Education Credentialing, Inc. This program is designated for Certified Health Education Specialists (CHES®) and/or Master Certified Health Education Specialists (MCHES®) to receive up to 1.0 total Category I contact education contact hours. Maximum advanced-level continuing education contact hours available are 0. Continuing Education Contact Hours are offered until February 28, 2022. This offering is approved for 1 social work self-study continuing education hour. Social Work continuing education hours are offered until December 31, 2020.